Georgia attended Sancta from 1992-1994. She currently works for The Economist in Singapore as Managing Editor – Client Branded Programmes. Her background is a vibrant mix of professions (in particular, journalism) and she now works in more of a marketing role for The Economist doing very interesting and impactful work in content, branding and client services. She is an experienced manager of people and departments. There may be scope for a physical component of this mentorship (in Singapore) but nothing can be confirmed at this stage. Georgia is happy to have contact at least once per month with the mentee and this can occur via Skype, Facetime, WhatsApp, Google Hangouts and email. Georgia is ready to connect now. Abbie O’Brien is a Cross Platform Journalist and Reporter for SBS, based at their head office in Sydney. She commenced at SBS as a cadet journalist four years ago, after successfully applying to their Graduate Program from her hometown of Melbourne, Victoria. 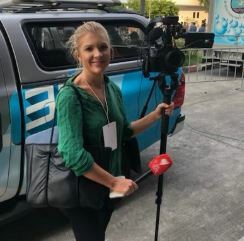 She spent 12 months on a rotation of several of SBS’s programs and platforms before being offered an ongoing contract which sees her working mostly on SBS News, both sourcing and producing stories as well as reporting on the nightly news most evenings. Abbie completed her Bachelor’s Degree at RMIT University in Melbourne within the School of Media and Communication. She has always had a love for news, journalism and the creative and performing arts. To date, her time at SBS has taken her on many local, interstate and international assignments, including recent trips to Cambodia and Germany. Abbie also reported for SBS on the recent Christchurch terrorist attacks in New Zealand. Abbie is happy to communicate via phone and email, and would be glad to have a few coffee catch-ups throughout the mentorship. She can provide excellent guidance to journalism students regarding assignments and media production and can share her journey and advice on how to get your foot in the door in media. One page letter to Abbie including a short bio about yourself (personal and professional/academic) and a statement on why you would like to be mentored by her (Word limit of 400 words maximum). Copy of your current CV, detailing your studies to date and any work/international experience. This opportunity is best suited to Law and/or Business Postgrad students who are looking to develop a connection with a highly experienced lawyer and businessperson with extensive international experience and proven success on multi-million dollar deals and projects. Bernardine’s specialty is in cross-border transactions, requiring expertise in international and discrete domestic commercial laws and regulations. This opportunity would absolutely be what you make of it! Bernardine is keen to find her match and start chatting as early as mid September! Duration would be discussed. This would be a discussion between Bernardine and the matched student. She is interested in phone and/or Facetime/Skype communication on a semi-regular basis and would be happy to host the matched student for social and mentoring experiences in Minnesota if she/he wanted to do a semester abroad in the U.S as part of their studies. There may be opportunities for shadowing Bernardine at her working environment next year, however, she cannot guarantee anything at this stage. One page letter to Bernardine including a short bio about yourself (personal and professional/academic) and a statement on why you would like to be mentored by her (Word limit of 400 words maximum). Jodie spent “four happy years” at Sancta from 1991-1994 whilst studying Agricultural Economics. Today, she works out of Canberra for the federal government in international trade and development and has forged an illustrious career in diplomatic roles and international business development settings. She is based in Canberra and is happy to communicate regularly with the mentee via phone/email/WhatsApp etc. She expects to occasionally be in Sydney which would allow for some catch-ups close to Sancta. She would be glad to request special security access for her mentee to come to Canberra to her high-level security workplace for some shadowing time. The details of this arrangement can be discussed between Jodie and the mentee. Ben is the CEO and Founder of SocialTable. His personal, academic and professional journey to date is impressive and colourful – to say the least! View Ben’s LinkedIn profile. Born in Sri Lanka, Ben spent his early years in a rural orphanage before he was adopted by Australian parents who raised him in Tasmania. Ben started his Uni years as a Med student, studying Medicine and then a Masters of Tropical Medicine and Public Health. Along the way, he recalls encountering great mentorship by the then CEO of St Vincent’s Hospital. Funnily enough, Ben’s mentorship with the St Vincent’s Hospital CEO actually prompted his realisation that Med was not where he would be most happy. So Ben took some fairly drastic turns and completed a Law degree. The skilled communicator and leader’s story of becoming a successful entrepreneur and philanthropist (having worked on the success of several med-tech products in the US market, as well his own enterprise SocialTable, along with his building projects for his very own orphanage in Sri Lanka) is too long for me to document here but it is full of insights, intelligence and authenticity. Ben wants to work with a Sancta Postgraduate student who feels they can benefit from any or all aspects of his expertise and life experiences, recognising how valuable his mentors have been and still are in his career. Of course, these are not the only possible outcomes of spending time learning with Ben – the mentorship will be what you and Ben make of it! Ben is happy to have a conversation with the matched student about how you can both gain maximum benefit. 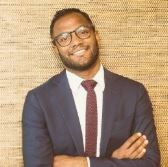 As a guide, he would be happy to commit to 2-3 hours of contact (face-to-face/digital/phone) per month, and when he is in Sydney he would like to catch up with you for discussions and/or shadowing in his daily operations as an enterprise CEO. A 300 word email addressed to Ben, detailing your studies to date, plans or indecisions for the future and explaining why you would like to be mentored by him. Matt O’Halloran is currently the Head of IT at Ascender HCM. Previously, he was the Head of Infrastructure at Toyota Finance. Matt has been brought into our Professional Mentorships program via Fiona, who studied her Executive MBA alongside Matt at UNSW a few years ago – the two maintain a solid friendship. Matt, who is based in Sydney, is keen to meet soon with the matched Sancta resident for a 1-2 hour sit down so the two of you can get to know each other and plan what your mentorship will look like. Tim is a Staff Specialist at Sydney Children’s Hospital. He studied at Sancta in 1990 as one of very few postgraduate residents at that time and maintains connections to Sr Mary Shanahan. Tim is happy to communicate via email and phone for at least one hour per month. Dr Jeffrey attended Sancta from 2000-2002 during her Undergraduate studies in Physiotherapy. She later returned to USyd to study Medicine and is now a General Practitioner in Newcastle. Dr Jeffrey is able to give insights on shaping one’s studies and career as she has the experience of transitioning from Physio to Medicine. She can also give fantastic insights on life as a GP. In addition to video chats, phone calls, WhatsApp and email, she would be happy to meet the mentee for coffee occasionally when she is in Sydney, and would also be glad to be visited by them in Newcastle. Shadowing is most likely not possible unless organised through a university (due to legal reasons). 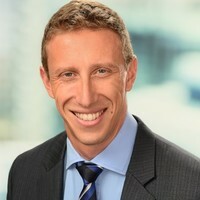 Prof Duncan graduated in medicine with first class honours from the University of Sydney in 1992. After moving to the UK in 1994, she undertook doctoral studies into the genetics of osteoporosis at the Wellcome Trust Centre for Human Genetics, Oxford. 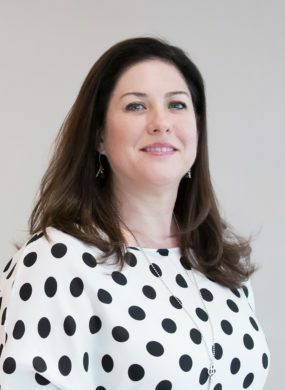 After completing her clinical training she was appointed consultant at the Oxford Centre for Diabetes, Endocrinology and Metabolism before returning to Australia in 2005. 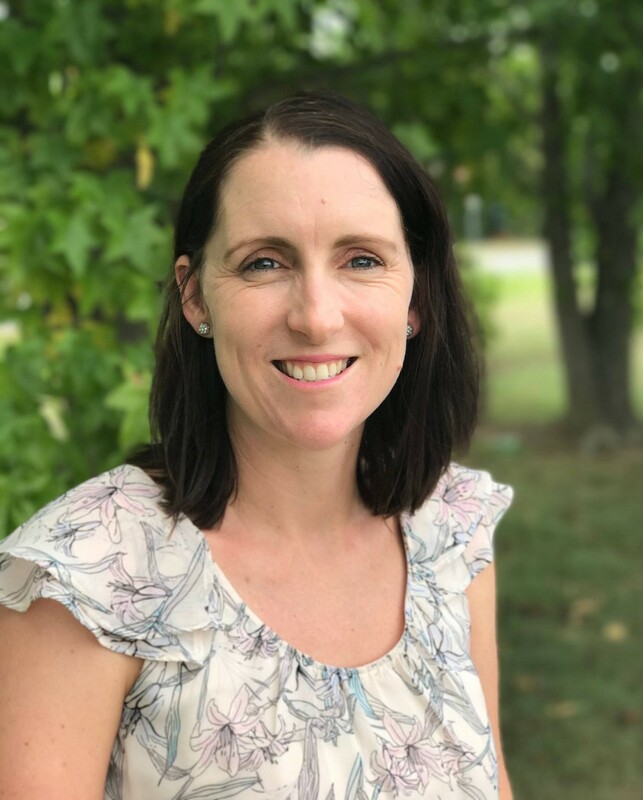 After five years as staff specialist at Princess Alexandra Hospital, she moved to her current clinician/scientist position at Royal Brisbane and Women’s Hospital. Since her undergraduate days, Prof Duncan has been fascinated by the skeleton. 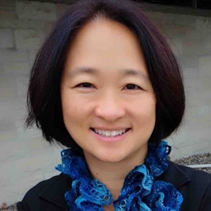 Research in bone diseases has formed the bulk of her basic and clinical research for over two decades, and she has published multiple research papers in osteoporosis and skeletal dysplasias. She is also interested in the genetics of other heritable endocrine disorders, such as maturity-onset diabetes in the young, phaeochromocytoma/paraganglioma, thyroid cancer and other endocrine tumours. Prof Duncan has broad practical experience in gene mapping, including genetic epidemiology, linkage, and genome-wide association studies; and more recently has played a strong role in gene discovery using massively parallel (“next-generation”) sequencing. She is particularly interested in translating the genetic revolution into clinical practice. In addition to her genetic research, Prof Duncan also contributes to clinical research in endocrinology and obstetric medicine. 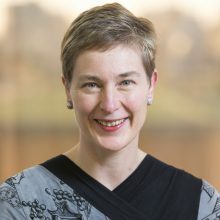 Prof Duncan is currently president of the Australian and New Zealand Bone and Mineral Society, and an advocate for fairness towards women in the clinical and research workforce. Emma is interested in having broadly themed face-to-face (via Skype or Zoom) informal discussions with the mentee once per semester. Email contact could be more frequent, driven by the mentee. A 300 word email addressed to Emma, detailing your medicine studies to date, plans or indecisions for the future and explaining why you would like to be mentored by her.